The use of a high efficacy light source combined with precision optics results in a high system efficacy, producing maximum light output for minimum energy input. In contrast to metal halide lamps, LEDs react immediately to controls. Lights can therefore be automatically turned off during unoccupied hours and turned on immediately when required. 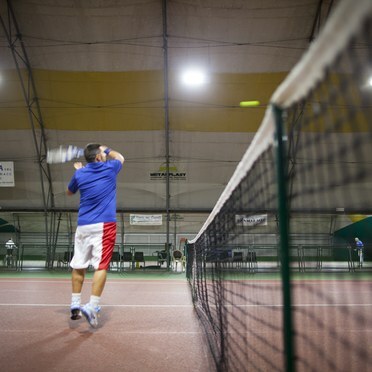 As a result, no energy is wasted lighting the tennis courts when they are not in use. Careful design of the lighting installation concentrates light onto the playing surface and immediate surrounds. This ensures a well-lit environment and highly efficient use of light with little waste. Polisportiva Saliceta San Giuliano is a large multisport complex in Modena, Italy. Open seven days a week, it is home to a wide range of sports and fitness activities, from football to cycling, weight training to beach volleyball. 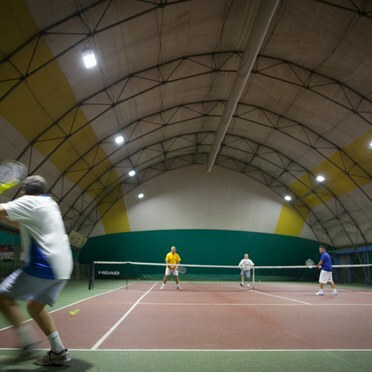 Its facilities include seven tennis courts, six squash courts, five football pitches and lots more. 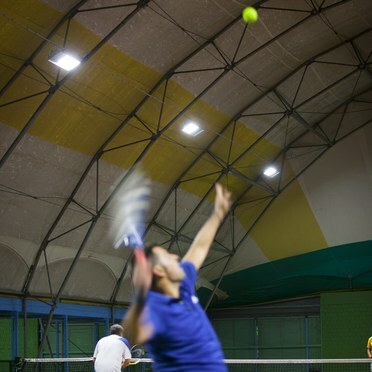 With the previous lighting for the three indoor tennis courts comprising 8x400W metal halide floodlights, the energy efficiency was poor. The LENI (Light Energy Numeric Indicator) was 80 kwh/ m2/year, producing more than 1900 kg of CO2/year. The light quality was also low with the average illuminance at 130lux. 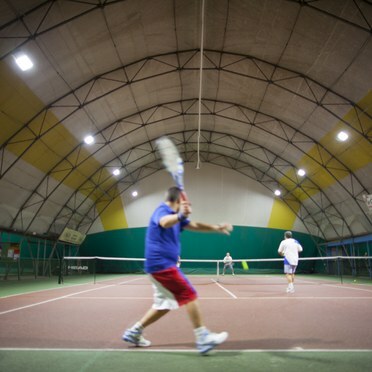 Polisportiva Saliceta San Giuliano sought to improve both the energy efficiency and the lighting. It therefore turned to its local Thorn Energy Partner (TEP) in the Emilia Romagna region for a solution. Andrea Benussi, Chief Lighting Designer at Thorn Italy, says: "Our Thorn Energy Partners, including installer Borsari Luciano, were delighted to work with PolisportivaSaliceta San Giuliano. Although our HiPak Pro LED luminaire is traditionally used in industrial applications, it offered the ideal solution in this instance. "Robust and low maintenance, HiPak Pro LED is 35% more energy efficient than the floodlights it replaces. Dedicated individual LED optics ensure precise light control while an integral PIR sensor and DALI dimming maximise energy savings. Every year, HiPak Pro LED will save 52 kwh/m2/year and 1250kg of CO2. "Importantly, HiPak Pro LED is positioned to avoid glare(UGR<20) and enables players to correctly evaluate distances by providing very good task lighting (300lux) combined with high 3D visibility of the ball and opponent. "The vertical plain along the field also has excellent uniformity with no dark shadows. This ensures players can see clearly, which is particularly important because the ball travels at such a high speed. Overall, the lighting scheme is fully compliant with EN15193 class III but with a level of uniformity higher than class I requirements. 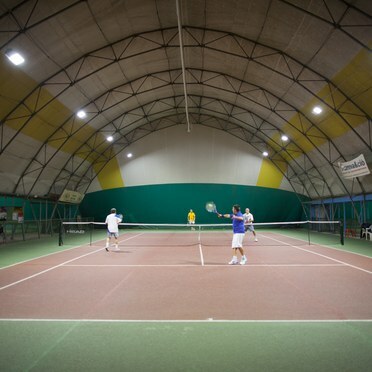 "With a dedicated body profile and onboard thermal management system, we estimate HiPakPro LED will provide Polisportiva Saliceta San Giuliano with a long and low maintenance 30-year lifetime." Feedback from the players shows they find the light very comfortable with no glare. They also say the brightness of the light creates a more dynamic playing and competitive environment.